Abstract: In October 2017, I found myself testifying for hours in a Federal court. I had not been arrested. Rather I was attempting to quantify gerrymandering using analysis which grew from asking if a surprising 2012 election was in fact surprising. 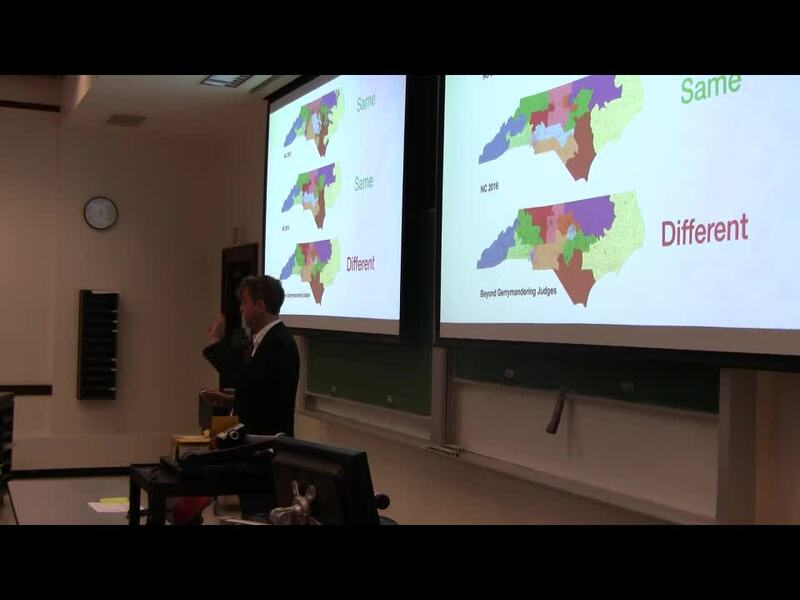 It hinged on probing the geopolitical structure of North Carolina using a Markov Chain Monte Carlo algorithm. I will start at the beginning and describe the mathematical ideas involved in our analysis. And then explain some of the conclusions we have reached. The talk will be accessible to undergraduates. In fact, this project began as a sequence of undergraduate research projects and undergraduates continue to be involved to this day. About the Niven Lecture: Ivan Niven was a famous number theorist and expositor; his textbooks have won numerous awards and have been translated into many languages. They are widely used to this day. Niven was born in Vancouver in 1915, earned his Bachelor's and Master's degrees at UBC in 1934 and 1936 and his Ph.D. at the University of Chicago in 1938. He was a faculty member at the University of Oregon since 1947 until his retirement in 1982. The annual Niven Lecture, held at UBC since 2005, is funded in part through a generous bequest from Ivan and Betty Niven to the UBC Mathematics Department.